Pierre Hunter (Anton Yelchin), a bartender with unyielding optimism, returns to his tiny hometown after his parents” death. 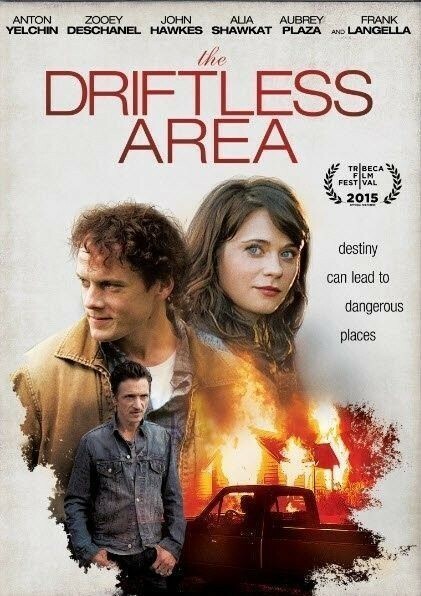 When he falls for the enigmatic Stella (Zooey Deschanel), Pierre is unknowingly pulled into a cat-and-mouse game that involves a duffel bag full of cash, a haphazard yet determined criminal (John Hawkes), and a mystery that will determine all of their fates. With Alia Shawkat, Frank Langella, Aubrey Plaza, and Ciarán Hinds. Zachary Sluser”s film, based on the novel by Tom Drury, is a contemporary fable about the ways we struggle to control time and fate in a possibly predetermined universe.